Just a lil bit ago, I was conversing with @JadeTygress on twitter who also maintains a blog. 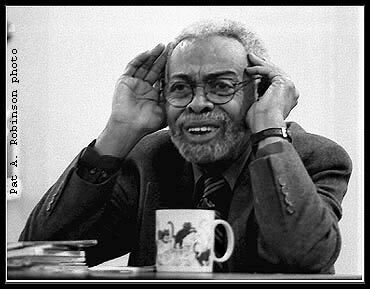 Something mentioned about artists' tendencies to lean toward "underground" and "independent" markets reminded me to say something about a link between Amiri Baraka and Lil Wayne. Folks whom I roll with who are really knowledgeable about Baraka's work are, for the most part, not up on Weezy beyond the surface. And vice versa, folks I hang with who are devout followers of this guy whom they view as "the greatest rapper alive" tend to have less in-depth knowledge of the last Poet Laureate of New Jersey. That those communities tend to be different doesn't bother me; it just reminds me about the broadness and diversity of interests in black artistic expression. Something I've noticed about Baraka and Lil Wayne has to do with their notable relationships with so-called mainstream and underground markets. Or better yet, it's intriguing that both artists have actively developed strong followings in multiple sites. Baraka is one of our most critically acclaimed and revered poets. In addition to gaining considerable attention from scholars, Baraka nurtures what we might refer to as a popular or underground audience. Even though he has several books in print with formal presses, Baraka still prints and distributes his own works and seeks to reach out to audiences beyond the academy or in traditional poetry markets.Baraka's presence on youtube--a site that often merges mainstream/underground interests--is telling. 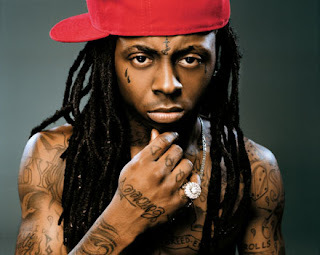 As a rapper, Lil Wayne is, no doubt, a well-known performer. There's a long-standing debate among some rap enthusiasts about whether Weezy or Jay-Z is the best (and which of the two makes the most money). Despite his mainstream success however, Lil Wayne continually nurtures his underground fan base. He regularly releases "free" mixtapes and celebrates distinct black locales and practices that would, under normal circumstances, not be frequented by the average multi-millionaire. It's likely that Lil Wayne's and Baraka's commitments to underground spaces give them even more credibility when they produce for or appear in more established venues. At the same time, the fact that these two artists are successful on the big stages, so to speak, yet choose to frequent and celebrate local spaces makes their underground audiences all the more appreciative.